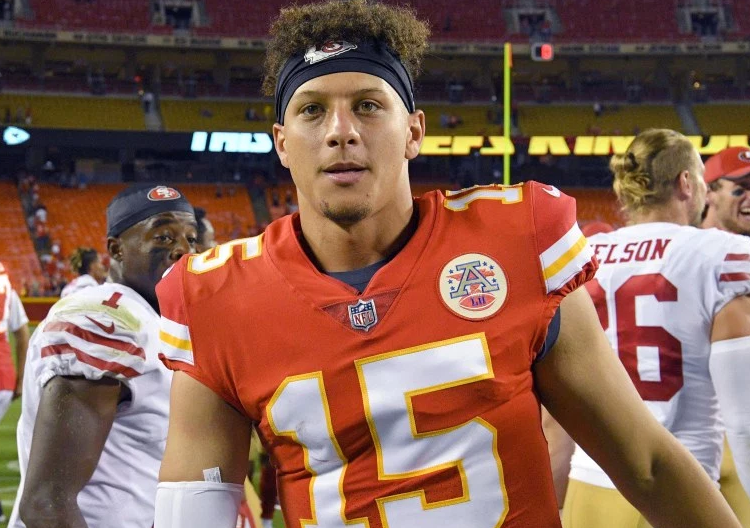 An American football quarterback who plays by wearing shirt number 15 for the Kansas City Chiefs of the National Football League is named as Patrick Mahomes. He was drafted by the Chiefs with the tenth overall pick in the 2017 NFL Draft. Patrick impresses again with 6 touchdowns which made victory. While facing a stout opponent in the midst of mounting expectations, quarterback Patrick Mahomes just went about his business in the Kansas City Chiefs win over the Pittsburgh Steelers on Sunday. It was the onset of what turned out to be a special outing, and as the dust settled following the Chiefs’ first win in Pittsburgh in 32 years, Mahomes had six touchdown passes to his name as the most by a Kansas City passer since Len Dawson in 1964. Patrick Mahomes was born on 17th September 1995 in Tyler, Texas with a birth name of Patrick Lavon Mahomes II. He is currently 23. He obtained his education from Whitehouse (TX) high school and graduated from Texas Tech College. 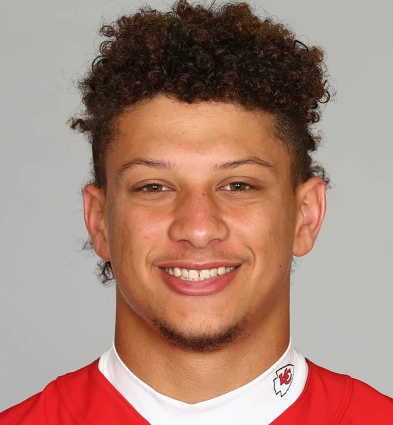 He is a son of Pat Mahomes and Randi Mahomes. Patrick stands 1.88 m tall with a balanced weight of 104 Kg. He has got a unique body personality with a charming face. He has got the balanced and healthy body. Patrick started his career as a freshman and played his first game as a freshman against Oklahoma State and later with Texas where he completed 13 of 21 passes for 109 yards in the game. After his freshman career, he started his sophomore season as a quarterback position and made his first game of 2015 season against Sam Houston State University and finished his 2015 season with 4,653 yards, 36 touchdowns, and 15 interceptions. He started his 2016 season against Oklahoma and finished his 2016 season leading the country in yards per game (421), passing yards (5,052), total offense (5,312), points responsible for (318), and total touchdowns (53). Due to this he was also awarded the Sammy Baugh Trophy and was also named an Academic All-American 2nd Team by the College Sports Information Directors of America. He was also ranked the second-best quarterback by SI.com, the third best by ESPN, and ranked the fourth best quarterback by NFLDraftScout.com. He announced on 3rd January 2017 that he would forego his last year of college eligibility and enter the NFL Draft. The Kansas City Chiefs selected Mahomes in the first round (10th overall) in the 2017 NFL Draft and was the first quarterback selected by the Chiefs in the first round after Todd Blackledge. He was signed by Chiefs on 20th July 2017 with a fee of $16 Million as of 2018 and made his first game for this game against Los Angeles Chargers. Due to his best performance, he was named AFC Offensive Player of the Week. Patrick is not married yet but he is in a relationship with his girlfriend, Brittany Matthews. They are living a happy life and there is no any sign of separation between them. The net worth of Patrick is estimated to have $10 Million as of 2018 and his current salary is estimated to have $2 Million. He is satisfied with his earning. His major source of earning is by playing football. He is a son of Pat Mahomes and Randi Mahomes. Patrick started his career as a freshman. He was awarded the Sammy Baugh Trophy. The Kansas City Chiefs selected Mahomes in the first round (10th overall) in the 2017 NFL Draft. He was named AFC Offensive Player of the Week recently.